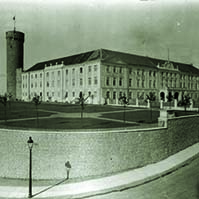 The Riigikogu passed six Resolutions, submitted by the Government, on the extension of the time limit for the use of the Defence Forces. The Resolution on the extension of the time limit for the use of the Defence Forces in the performance of the international duties of the Estonian state in the peacekeeping mission in Kosovo (312 OE) was passed with 66 votes in favour. According to the Resolution, the time limit for the use of up to three members of the Defence Forces in the composition of the NATO-led Kosovo Force (KFOR) is extended until 31 December 2013. Two members of the Riigikogu abstained in the voting. The Resolution on the extension of the time limit for the use of the Defence Forces in the performance of the international duties of the Estonian state in the peacekeeping mission in Afghanistan (313 OE) was passed with 56 votes in favour. The Resolution extends the time limit for the use of up to 170 members of the Defence Forces in the international peacekeeping mission in Afghanistan in the composition of the NATO-led International Security Assistance Force (ISAF) until 31 December 2013. The maximum limit for the staff of the Defence Forces can be increased to up to 340 members of the Defence Forces in the rotation period within one month as of the arrival of the members of the Defence Forces who participate in the rotation in Afghanistan. The Resolution on the extension of the time limit for the use of the Defence Forces in the performance of the international duties of the Estonian state in the post-conflict peacekeeping mission in Lebanon, Israel, Egypt and Syria (314 OE) was passed with 53 votes in favour. The Resolution extends the time limit for the use of up to three members of the Defence Forces in the UN-led peacekeeping mission (United Nations Truce Supervision Organization – UNTSO) in Lebanon, Israel, Egypt and Syria until 31 December 2013. 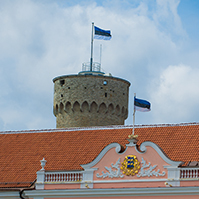 The Resolution on the use of the Defence Forces in the performance of the international duties of the Estonian State in the composition of the NATO Response Force (315 OE) was passed with 58 votes in favour. The Resolution extends the use of up to 20 members of the Defence Forces in the composition of the NATO Response Force (NRF) in a military operation organised for the purpose of maintaining or restoring peace and security as provided for in Chapters VI and VII of the UN Charter, or in any other military operation in compliance with generally recognised practices and principles of international law, until 31 December 2013. The Resolution on the extension of the time limit for the use of the Defence Forces in the performance of the international duties of the Estonian state in the composition of the European Union anti-piracy operation Atalanta (316 OE) was passed with 56 votes in favour. The Resolution extends the time limit for the use of up to 15 members of the Defence Forces in the composition of the European Union Anti-Piracy Operation Atalanta (European Union Naval Force Somalia – Operation Atalanta) until 31 December 2013. The Resolution on the use of the Defence Forces in the performance of the international duties of the Estonian state in the work of the international military headquarters of an operation led by the North Atlantic Treaty Organization and the European Union (317 OE) was passed with 62 votes in favour. The Resolution allows up to five members of the Defence Forces to be used from 1 January to 31 December 2013 in the work of the international military headquarters located in the operation area upon launching of a new military operation organised for the purpose of maintaining or restoring peace and security on the basis of the provisions of Chapters VI and VII of the UN Charter, led by the North Atlantic Treaty Organization (NATO) or the European Union, or any other international military operation in compliance with the generally recognised practices and principles of international law. On the motion of the Legal Affairs Committee, the second reading of the Bill on Amendments to the Code of Enforcement Procedure and the Bailiffs Act (309 SE), initiated by the Government, was concluded. The Bill introduces several amendments in connection with the electronic e-auction system which will be launched as of 12 January 2013 and specifies the procedure for participation in the e-auction and registration to the auction. One amendment establishes the simplified procedure for selling movables of low value. In the future, a bailiff may sell movables the value of which does not exceed 100 euro pursuant to the simplified procedure. Also, the Bill eliminates the obligation to publish an announcement of an auction also in a local newspaper that caused enforcement costs, extends the term for the assignment of the rights of a purchaser, provides the conditions for the payment of the deposit and the purchase price to the bank account of the bailiff and makes several other amendments. The Bill was sent to the third reading. 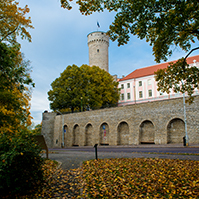 On the motion of the Social Affairs Committee, the second reading of the Bill on Amendments to the Police and Border Guard Act (326 SE), initiated by the Pro Patria and Res Publica Union Faction and the Estonian Reform Party Faction, was concluded. The main aim of the Bill is to ensure equal treatment of persons in pension schemes. The pensions calculated on the basis of the State Pension Insurance Act, the Old-Age Pensions under Favourable Conditions Act and the Superannuated Pensions Act are indexed with the pension index on 1 April every year. Pursuant to the Police and Border Guard Act, the pensions already granted are recalculated depending on the basis of which Act the pension has been granted. The pensions calculated on the basis of Acts which were in force earlier, such as the Police Service Act and the Border Guard Service Act, are indexed with the pension index on 1 April; the pensions calculated on the basis of the Police and Border Guard Act which entered into force on 1 January 2010 are recalculated together with the change of salary. Thus, the current legal regulation treats special pensioners and ordinary pensioners, and different groups of special pensioners, differently as regards the recalculation of pensions. In order to liquidate this situation, according to the Bill, the special pensions granted and to be granted, except for the pensions calculated on the basis of the salary of the current year, will be indexed with the pension index as of 2013. 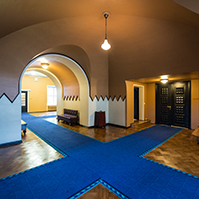 The Social Democratic Party Faction and the Estonian Centre Party Faction moved to suspend the second reading of the Bill. 29 members of the Riigikogu voted in favour of the motion and 42 voted against. The motion to suspend was not supported and the Bill was sent to the third reading. On the motion of the Social Affairs Committee, the second reading of the Bill on Amendments to the Health Insurance Act (325 SE), initiated by the Government, was concluded. The amendments establish the maximum rate of 5 euro, instead of the current 3.20, for the fee for home visits and visits for out-patient specialised medical care, and the maximum rate of 2.50 euro, instead of the current 1.60 euro, for in-patient fees. 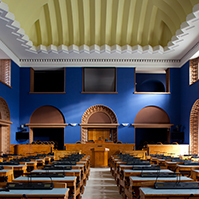 The Social Democratic Party Faction and the Estonian Centre Party Faction moved to suspend the second reading of the Bill. 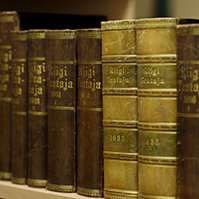 25 members of the Riigikogu voted in favour of the motion and 43 voted against. The motion to suspend was not supported and the Bill was sent to the third reading.